HYNN in Battery Expo Japan 2018 Coming to a Successful Ending-Shenzhen HYNN Technologies Co., Ltd.
From February 28 to March 2, 2018, the 9th International Rechargeable Battery Expo was successfully held in Big Sight International Exhibition Center in Tokyo, Japan. During the exhibition, HYNN, as a professional supplier of new energy power battery intelligent manufacturing equipment and service provider of the integrated intelligent solution, drew high attention from specialists all over the world. The company actively expands the international market and has made great achievements. Through over ten years of technical accumulation and reform, the company is capable of providing customized solution, and well received by the customers at home and abroad among the industry with professional design, quick delivery capacity and high-quality service. During the exhibition, the clients from all over the world gathered at the company's booth, showing great interest in our products. Through careful introduction and explanation of our exhibition team, some enterprises hoped to communicate with us for further information and some had presented their definite demands to us. 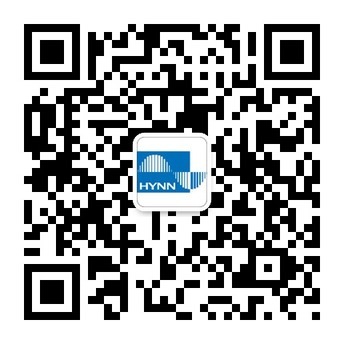 Founded in 2006, Shenzhen HYNN Technology Co., Ltd. is a national-level new high-tech enterprise integrated with design, production manufacturing, sales and service, mainly engaged in new energy industry and positioning in high-precision inspection equipment. Depending on the high-grade power battery testing technology and the spirit of constant improvement, the company can provide intelligent production line and testing line for power battery, with products sold as far as Russia, Republic of Korea, USA, India, Japan, and other countries, besides domestic markets. With over ten years of development of new energy equipment manufacturing, the company has accumulated abundant design, and R&D experience, trained and reserved a batch of excellent technicians and management talents, and received the high recognition from multiple customers and industrial institutions. The company becomes not only one of the ten major domestic brand enterprises of lithium battery, but also the first-rate provider of lithium battery inspection equipment. The self-developed main products are as follows: battery formatting and grading equipment, battery pack charging and discharging circulating equipment, large power battery pack charging and discharging equipment, BMS inspection equipment, power battery pack EOL test system, battery post-treatment automatic system and PACK automatic system, etc., widely applied in the battery factory, military industry, finished automobile plant of large-scale new energy automobiles, high-end laboratory, colleges and universities, and scientific research institution. With "constant innovation and progress with determination" as our consistent policy for development", "customer orientation and quality first" as our driving force to pursue the remarkable objective, we are devoted to continuously providing satisfactory products and excellent service for customers. Next：Congratulations on HYNN for the success at 2017 US Battery Show!